EtsyPHAT's Plant Peeps: Happy Etsy Day everyone! 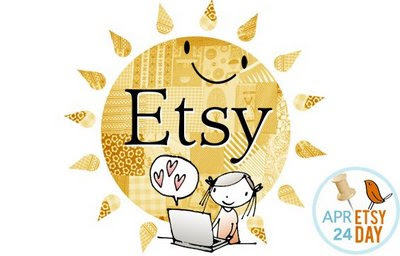 If you haven't already signed up for an Etsy account, today would be a great day to do so! There are SO MANY amazing artists who sell things on Etsy. I know you'll find something that you love. Maybe it will even inspire you to start your own Etsy shop!